I dedicate this book to the little girls, young ladies and women who lost their lives at the hands of those who could and should have loved them. You are never forgotten. You did not die in vain. What is a Diamond Butterfly? A coworker nicknamed me butterfly for my last two years as a lead call center customer account executive. She said in her eyes I was coming out of my cocoon and soon I would spread my wings for the entire world to see the beauty inside me and I would take off. Like a butterfly. When God gave me the title for this book he told me I’m one of his Diamond Butterflies. I wanted to know why He said that. I found, neither butterflies nor real diamonds are manmade things but their beauty comes with pressure from God. The life cycle of a butterfly consists of four stages. First it’s an egg. The egg pops out a larva more widely known as a caterpillar. Over time the larva turns into a chrysalis (pupa). This is the cocoon stage. Finally the pupa matures into the actual butterfly. Diamonds are not made from coal. They are formed in the Earth when igneous rock undergoes extreme pressure. Igneous rock is crystallized from magma formed when the Earth’s crust is partially melted. A common igneous rock pressurized into a diamond is Kimberlite. It undergoes incredible pressure as more layers of rock are deposited on top of it. The pressure compresses the igneous rock into a diamond, made of pure carbon. Many people don’t know diamond is the most durable and toughest mineral on earth. Uses of the diamond involve cutting tools, as an abrasive and as a polisher. They are used in super computers, medical/dental equipment, for grinding and polishing gemstones, ceramics, metals, concrete, eyeglasses, and computer chips. They are sought after because of the stones resistance to wear. Now I know you’re wondering why in the world I’m giving you a mini science lesson on bugs and rocks. This is supposed to be a devotional. Well it is and one of my duties as the author is to make sure I have all of the bases covered. When I heard God whisper the title to me, I understood after reading this information why He called us diamonds. My life has been a mixture of butterfly and diamond. You’ll understand more as you read. My prayer is through His awesomeness God will minister to you in the exact way you need it through this devotional. When you close the cover He is due all praise, honor and glory because I know were it not for Him I wouldn’t even be here to tell it. I have omitted the names of others in this book because it is not my intention to hurt anyone or bring undue attention to anyone without their consent. I hope those who I have done wrong find it in their hearts to forgive me and I pray that those who wronged me accept Christ and know I love and forgive them. One day God willing I’ll be able to watch Precious. But until then I’ll keep watching the snippets and pray God use me as a conduit of empowerment to those who have need of it. I pray you see me as a symbol of hope to those who believe it may be too late. It’s never too late to be who God created you to be. Instead of giving the long drawn out second by second accounts of the first two decades of my life I’m going to break down what’s important. Over thirty years ago my parents got together and made me—on purpose. The good times didn’t stop there, they just became farther and fewer between the mediocre and bad. By the age of ten I’d given my life to Christ, soon after I was molested, assaulted and left in a state of serious spiritual confusion. By the age of twelve I’d lost my virginity to my first boyfriend against my will and become pregnant by my second one. After giving my son up for adoption and exposing the last molester (there were three total) I became a ward of the court. Only one suicide attempt and almost four years later with the love of my foster family I graduated high school. While in Atlanta and attempting to pursue my higher education life became more complicated and my unresolved emotional issues led to a lot of self loathing behaviors. It took a lot but God chased me down and through His wonderful empowering I surrendered. I don’t profess to know it all or be in the “magical” place I believe doesn’t exist called “there”. Each incident collective and alone helped to shape the woman I am today. It’s possible I could have been a better version of myself, a kinder, sweeter, or different woman than who I am now or used to be but I’m not able to address those possibilities now. I believe everything done to me with an evil intent God will use to my good. I’m an over comer by the blood of the Lamb, and the word of my testimony. Focusing on the wholeness God has provided instead of the destruction attempted by the enemy is more in keeping with the word of God. Merriam Webster’s third online definition for the verb form of share is to talk about one's thoughts, feelings, or experiences with others. If you’re reading this book you or someone you know believe the lessons I’ve learned in my walk with God will bless you. I hope it encourages you to be able to move forward as God helps you to be who He created you to be by confronting, accepting, learning from and moving beyond your past. An important way to do that is to S.H.A.R.E. Embarking on a journey to attain emotional healing is not for the faint of heart. Many times when you’ve been traumatized, ignoring the problem feels best, but it does not make the pain go away. An integral step in being able to complete this journey is being covered and knowing you have someone praying for you to be who you were formed in your mother’s womb to be. You’ll find in the rest of this chapter several prayers to help you start and complete this journey. Know that my heart, prayers and hope is with you as it begins and I’ll be here with you when in victory it ends. The first prayer below is my request to God for you. Thank You for the sister reading these words. Thank You for the awesome love You give to her every day. I lift her up to You and ask You to open her heart and soul to be healed. I thank You for putting her in the right places, at the right time, and when you ordain it necessary with the right people as she embarks on this journey to her full emotional healing. Bless her with the awesome and mighty strength she can only receive from You to make it through the painful and rough parts. Thank You for giving her keen discernment in helping her to enlist the assistance of any and all persons sent by You and knowing how to say no in love to those you didn’t send. Thank You for protecting her from the attacks, plots or schemes of any and all who would try to stand in her way to total complete wholeness. Thank You for blocking the efforts of any who do not desire for her to fulfill her purpose and destiny. 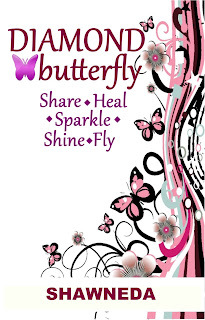 I praise You in advance for being the emotional healing balm she needs to be a diamond butterfly destined for greatness on Your terms, delicate, beautiful and free according to Your will in every way. I count it already done and bless You in advance for this in the matchless name of Jesus the Christ. Amen. While those around you and closest to you who may or may not know your story learn of your desire to walk out this process of healing be aware everyone will not be happy for you. Some people who love and care about you may not understand what you’re doing or why. Your family and friends may have been part of the pain from which you need to be healed, much like my case. Understand its okay to be concerned about not offending or hurting them and the possibility of being hurt by them again. The purpose of this particular part of the journey is not to illicit apologies or attempt to confront anyone it is simply for you to start the process of becoming free. Oft times when we experience traumatic pain at the hands of another we feel it is in some way our fault. When in truth it is not, no one purposefully places themselves in a relationship or position to be emotionally, physically, spiritually or sexually assaulted. Staying silent about what has happened to you is a form of extending the abuse. I’m not advocating nor suggesting you become a woe is me, pity me person. Nor am I suggesting you try to get people to see things from your side or perspective. This journey is all about you, and the promise of freedom to be yourself Christ died for you to receive. Don’t allow anyone around you to keep you from that no matter who they are. If you experienced a large part of your neglect and or abuse at the hands of your family it may be necessary to pray the prayer below more than once. No matter how much or long it takes just remember hurt people, hurt people. Those around you’re expecting to be happy for your transition from egg to butterfly or rock to diamond may not be as happy as you think. If this proves to be the case and you feel led to do so maybe they should read my book when you’re finished…let them borrow it or have it. If you are like me and a little apprehensive about giving away your reading materials buy them a copy (or tell them borrow it from the library.) Just accept the truth that this journey is yours and all about the healing God promised you. Don’t allow others reactions to deviate you from the course. Pray for those who cheer you on and others who mock you. No matter what you do pray because it is one of the important actions to making it from this starting point to the end and integral to your becoming the diamond butterfly God wants you to be. Read the prayer below for those around you. Remember this journey is not about focusing on trying to fix, heal, correct, guilt or free others. While you read this book my prayer is you do something life changing, by taking away from each chapter what God placed in it just for you. Thank You for my journey to healing. I lift up those around me to You and ask You bless them with the blessings that make them rich and add no sorrow. You know those whose intentions are pure, positive and good. Thank You for keeping them close to me and for those who pray to You on my behalf. Lord You also know those who consciously or unconsciously harm or want to harm me and are not concerned about my emotional state. Thank You Lord for keeping them away from me, according to Your will show me who they are and keep my hand from doing harm to them. I thank You Lord for my family, friends, and peers not hindering my progress on this road to wholeness. Bless all of them with the fulfillment of finding their way to knowing you intimately. I praise Your name for being a hedge of protection to me. Thank You for delivering me from any abusive relationships, or atmospheres. I know You love me and when those who should nurture and protect me on earth aren’t able to fulfill that responsibility I trust you to do so. I praise You and bless Your name for loving and saving me. In Christ Jesus name I pray. Amen. While my prayers and encouragement are nice, your desires for yourself to be healed are much more powerful. I know you can do it, but it’s more important for you to believe it for and about yourself. So before we complete our interaction in this chapter I want you to pray the words below and then we’ll almost be ready to move on to the next chapter. Life has not been easy for me and the pain I feel, abuse and trauma I’ve endured have brought me to this place in my life. I don’t know how it’s going to happen or what it’s gonna take but I know I believe in You and I want to be free. Help me commit not only to myself but to You wholeheartedly. Nothing else has helped me break away from the pain I’ve felt up to this point but I believe this hurting can be erased. I know You can heal my heart. Help me not to look to others in this time for validation or completion. Show me, the way You see me and in the areas I’m unsure about what I see help me to be strong, help my unbelief. I’m depending on You to help me endure. Bless those around me as You take me through the necessary changes to becoming whole. Give us patience with each other and help me not to hurt them as a result of my own pain. Thank You for sending Your son Jesus to die on the cross for me and wash away all my sins. I love You and need You not only as Savior but as Lord of my life. I lift this prayer before You in Jesus name. I thank You for the victory and it’s fulfillment in advance. Amen. Now that didn’t hurt much at all did it? Before you move on to the next chapter here are several things for you to do. First write down the most positive memory from your childhood, adolescence and if you’re over the age of 18 your adult years. If you have more than one favorite write them all. In the same journal or notebook or kept in the same folder on loose leaf paper next write out your feelings about the traumatic events you’ve experienced in the past. Think about the differences you see in yourself now. If you’re unable to remember yourself before the abuse ask God to help you. Write down the feelings and negative repercussions you feel or God reveals are a result of what happened. Specify the things you feel and see in yourself you want God to change. No matter what has happened in my past someone else’s decision to be abusive, neglectful, perverse or violent towards me is NOT my fault. I have a voice and deserve to be heard. I’m not ashamed of what happened to me. I know God loves me, I lived through it. I have something valuable to add to the world because I am here!